Krida heads the Commercial Litigation Practice of R&T Asia (Thailand) Limited. He graduated with a Bachelor of Laws from Chulalongkorn University in 1997 and an LL.M. from Washington College of Law, American University in 2000. Krida is fluent in Thai and English. Krida has more than 16 years of experience in acting for both local and multi-national corporations on a wide range of litigation, dispute resolution and general commercial matters. 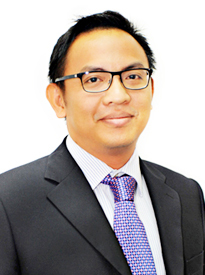 During his career, Krida has worked at a leading Thai law firm, a niche Thai law firm specialising in tax and disputes, and most recently in the Bangkok office of international firm. His experience has equipped him with the ability to handle large scale and complex cases for both local and international clients, as well as to offer strategic and practical legal advice to his clients. Krida’s areas of practice are commercial litigation, arbitration and dispute resolution matters, including business rehabilitation cases, labour, construction, administrative dispute, international trade, debt recovery and shareholders’ disputes. Krida also frequently advises on regulatory/compliance, insurance and reinsurance matters. Advising a world leading hotel chain in Thailand in the Central Labour Court against the Social Security Office in a dispute regarding service charge. Advising and representing a Thai insurance broker in a civil proceeding commenced by an insurer re: liability of a broker as an agent of an overseas re-insurer. Representing a Swedish truck company in Thai court proceedings and providing Thai legal input in arbitration in Japan involving dispute against its Thai distributor in connection with THB 12 billion disputes over distributorship agreement. Representing an international water company in arbitration against a Thai public sector in a dispute regarding calculation of incentive arising from construction works to reduce wastage in the Bangkok water distribution system and in the Central Administrative Court proceedings to enforce a THB 300 million arbitration award. Representing a Thai cement manufacturer in defending arbitration proceedings brought by its contractor arising from the construction and operation of a sand excavating site involving claims of approximately THB 70 million. Representing a reputable Thai real estate owner in connection with dispute under a construction contract with its main contractor involving claims of approximately THB 600 million and the related court proceedings to enforce the bank guarantee. Representing several international funds and financial institutions in complex and highly contested business rehabilitation proceeding of a major telecommunications company in Thailand. Advising US insurers on policy coverage under a D&O Reimbursement Policy, which involved a detailed analysis of the policy and providing an opinion on coverage under Thai law. Advising a German insurer on liability of their insured under a construction contract, and under Thai law generally, and advising on coverage for third party loss under the policy. Advising a leading tobacco manufacturer on statutory compliance matters relating to packaging, labelling and advertising of tobacco products. Advising an international re-insurance company on Thai law compliance issues in respect of a risk management contract with governmental agency. Assisting a multinational fund management company in an internal investigation process regarding violation of non-competition and non-solicitation by its senior sales executive. Giving expert evidence on Thai law with regards to contract interpretation and damages claim in an ICC arbitration in Hong Kong. Advising a Japanese insurer in the interpretation of policy coverage regarding the 2011 flood.